Before we walk you around the area, we wish to applaud the Boerum Hill Association. The organization was the driving force in getting the proposed extension onto the city Landmarks Preservation Commission’s calendar for designation consideration. This happened in late October. The proposed Boerum Hill Historic District Extension that’s on the city preservation agency’s calendar is a bit smaller than the association recommended it should be, but nevertheless, it’s pretty substantial. 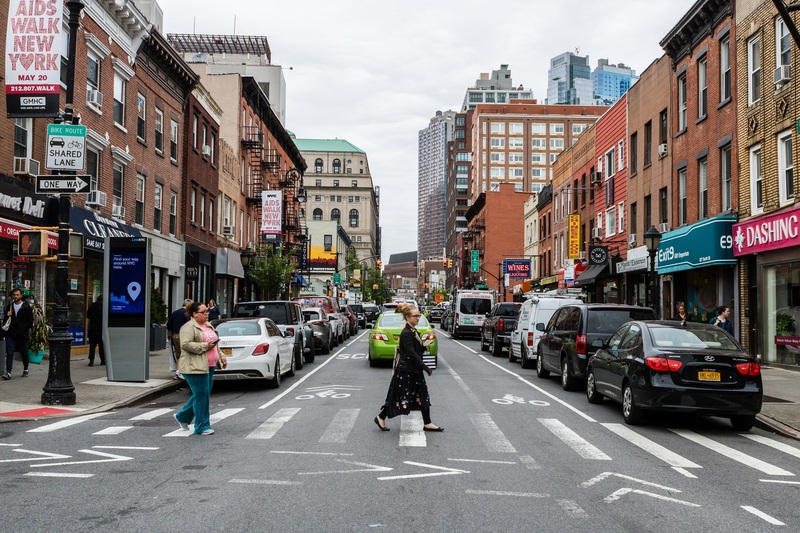 The Boerum Hill Association did the hard work of campaigning for the designation of the neighborhood’s original historic district. The Boerum Hill Historic District, which was designated in 1973, is in the center of the neighborhood. It includes portions of blocks on Pacific, Dean, Bergen and Wyckoff streets between Hoyt and Nevins streets. The proposed historic-district extension consists of three areas that are west, east and north of the historic district. Here’s Area I. Area I is the Landmarks Preservation Commission’s name for the section of the proposed extension that’s west of the existing Boerum Hill Historic District. There’s a mix of handsome brick rowhouses and brownstones in this area. On the north side of Bergen Street, there’s a row of houses with mansard roofs. The one at 105A Bergen St. is being converted from a two-family home with a doctor’s office to a single-family home that will have a horizontal addition on the rear of the property, city Buildings Department filings indicate. When we passed by the house the other day, workers told us the building’s faux-stone facade will be removed and the brick beneath it will be restored. The owners of 105A Bergen St., Eric Folkemer and Melissa Balaban, bought it for $2.3 million in February, city Finance Department records indicate.